For many high school seniors, December marks the end of the marathon college application season, an event that can span several years. Choices have been winnowed, tests have been taken, and essays have been written and sent. It’s a time to celebrate getting those applications done, and also a time for an uneasy limbo of waiting to hear back from the colleges. Here are seven things you can do to make the inevitable waiting time more pleasant and productive. Try to appreciate your family life now, knowing that things will likely change once college starts. Enjoy a holiday tradition together. Ask a parent or other adult to show you how to make a favorite family recipe (and write it down so you can make it at college). Enjoy some down time with family members, now that the pressure of college admissions is off, by playing games, planting flowers, or watching a movie from your childhood. While you still have to watch your grades—since spring grades usually do count for college admission—senior schedules often are loose enough to allow for an elective. Use that time to try something new. My daughter tried ceramics during a free class in high school and ended up pursuing it during college. Senior year is not too late to join a club you haven’t tried or reach out to new friends. 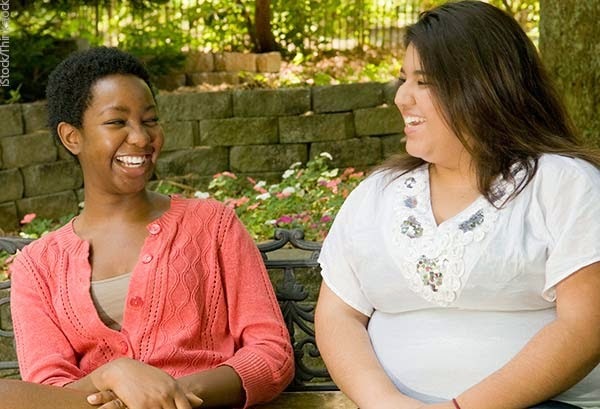 The college freshmen who adjust the most easily are often those who have learned to make friends among a wide variety of people. Consider high school an opportunity to get comfortable doing so. At the same time, enjoy your old friends and all the special senior year activities. They will help you create lifelong memories while taking your mind off college admissions. Celebrate the fact that you got your applications in and try not to second-guess your efforts. Try, too, to take some of the pressure off getting into a particular college. There are countless stories of students who got into their second and third choice schools, only to end up loving them. When we apply to colleges, we are only making a best guess about which one will work for us. Often, the perfect colleges were not students’ first choice. This is a great time to write hand-written thank you notes (much more personal than email) to all the people who helped you during the college admission process—a school or private counselor or teacher who gave you advice; an alumnus or representative who took extra time tell you about his or her school; an employer, teacher, or coach who wrote a letter of recommendation. Don’t forget to also let those who helped you know where you eventually decide to go. If you haven’t done so already, visit your school’s college advisor or information center and learn about federal student loans, many of which are due in the spring before you begin college. Information about federal aid is here: https://fafsa.ed.gov/. Your high school will probably also have information about local and other scholarships. There are many available to help with college expenses, although many students don’t take advantage of them. See if your school offers email updates about scholarships. If so, sign up to receive them. Your intended college will probably offer scholarships as well. Research them in advance so that you can apply for them once you are admitted. If you applied to the right set of colleges, a first acceptance letter will be forthcoming. Even if it is not from your top choices, relish the moment. You know that you are on your way to college! It bears repeating that senior year is a special time. Try not to get overwhelmed by others’ well-meaning inquiries and worries about college. There is usually time to make decisions and take action. While there are a few exceptions, you usually don’t have to know what your major will be or even what you want to study. College can be a great time to explore those things. That said, do be mindful about deadlines for committing to the college of your choice, applying for student housing, and providing high school transcripts and other information. When it does come time to think about equipping your living space, check with older friends about must-have dorm or house items. You often don’t need all the things that retailers tell you to buy. Also ask your college friends for their tips about adjusting to freshman year. One of my daughter’s friends advised her to knock on her dorm mates’ doors at the beginning of the year to introduce herself. She did so, with her roommate, and succeeded quite quickly in making new friends. Anxiety about college is normal. Try to remember that all the other new students are equally nervous and eager to find their place and make friends. A note to parents: It’s natural for you to be anxious about this change for your family. Try not to let your own anxiety impede your child’s growth. Listen and lend support when he or she expresses fears. As for your own anxiety, know that if your child does go away to college, technology is such that he or she will rarely be out of communication for long. Thanks to Skyping, texting, phone calls, email, and social media, you might be surprised at how often and fluidly you are involved in your child’s life. It may also give you peace of mind to have an emergency contact at the college or in the college town, should getting in touch become difficult. That said, be prepared to give your child some space to explore, especially upon arrival at college. As for the time still at home together? Enjoy your family time. Make and pass on your favorite recipes and traditions. Also pass on any relevant life-skills information that your child doesn’t already have about car and home maintenance, laundry, finances (banking, budgeting, any payments he/she will be responsible for), health care and insurance, campus safety, and academic practices and goals. Take comfort in the fact that no parent ever remembered to tell his or her incoming college student everything. Whatever you don’t remember to impart can be shared during that first phone call or visit home. Susan Sachs Lipman (Suz) is the author of Fed Up with Frenzy: Slow Parenting in a Fast-Moving World, which contains 300+ activities for family fun and grew out of her blog, Slow Family Online. Slow Parenting and the book were named a 2012 Top 10 Parenting Trend by TIME Magazine. Suz has written for the New York Times’ Motherlode blog, the Christian Science Monitor’s Modern Parenthood blog, and many others. She is the Social Media Director for Parents Place and parent of a college sophomore.